Google Pixel 2 and Pixel XL 2 leaked renders have made their way onto the web. Here’s what Google 2017 flagship looks like. With the Samsung Galaxy Note 8 and iPhone 8 getting so much attention right now it is often easy to forget that there are other flagship smartphones that are still to arrive this year. The two we are most interested in today are the Pixel 2 and Pixel XL 2, the replacements for last year’s Pixel devices. Leaks surrounding the two new phones have been in a much smaller scale than either Apple or Samsung’s latest and greatest, but that does not mean that there is nothing to learn, and prolific leaker @OnLeaks again has the scoop. There have been a handful of leaks which gave us an idea of what we could expect from the Pixel 2 and Pixel XL 2, with screen sizes of 4.95-inches and 5.99-inches respectively, 4GB of RAM, 64GB and 128GB storage and yes, a complete lack of any sort of 3.5mm headphone jack. Sorry folks. The new leak from OnLeaks is a render of what both of the new and as-yet unannounced devices may look like and they certainly fit in with previous leaks. There is indeed no headphone jack, and as was the case last year the fingerprint sensor remains on the rear of both devices. In fact, both the Pixel 2 and Pixel XL 2 do look very similar, something that had previously been suggested to not be the case. Apart from the difference in screen size, the real difference that we notice immediately is the larger top and bottom bezels on the smaller of the two phones. Chassis wise, we are looking at dimensions of 145.3 x 69.3 x 7.8 mm for the Pixel 2 while the Pixel XL 2 will be 157.6 x 76.3 x 7.9 mm. 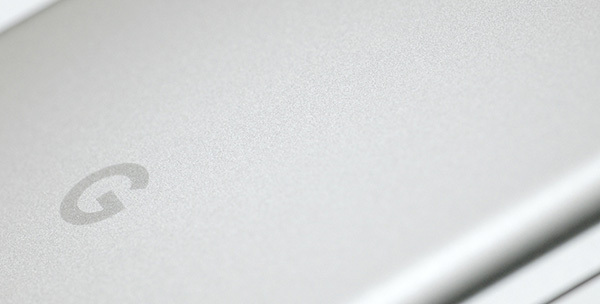 Expect both devices to gain around half a milliliter around the camera bump, too. 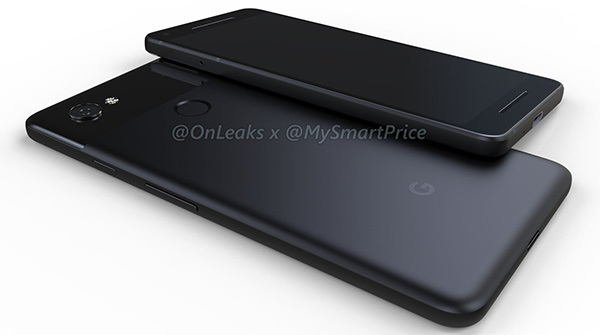 At this point we would not want to say with absolute certainty that this latest leak is real, but given OnLeaks’ past record we see little reason to doubt we are looking at the Pixel 2 and Pixel XL 2 in the pictures above. Aumen, on your way out, be a good fellow and close the door.